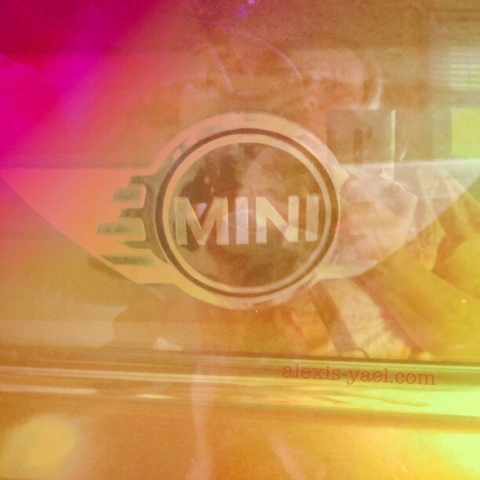 Reflection of me in the Mini, two ways, perfectly imperfect. Wabi sabi has been one of my touch stones for a very long time. Perfectly imperfect. Aged. Cracked. That's where the light comes in (yes, Leonard, yes). Wabi sabi means letting go of should and have to, as much as possible. Getting the perfect reflection photo - not gonna happen in the garage, but it is what it is. Wabi sabi. A cracked offering, an offering nonetheless. Here's the light. Here's the imperfection. Here's another part of me.